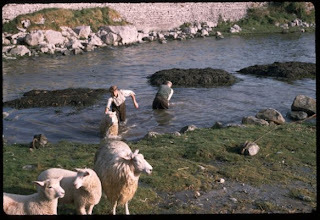 from gaelic "CINN MHARA", means HEAD of the SEA. 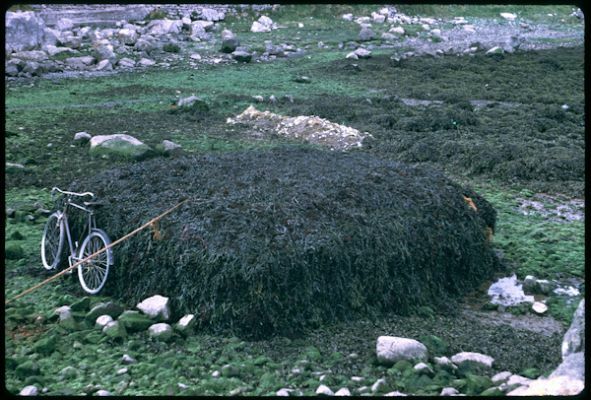 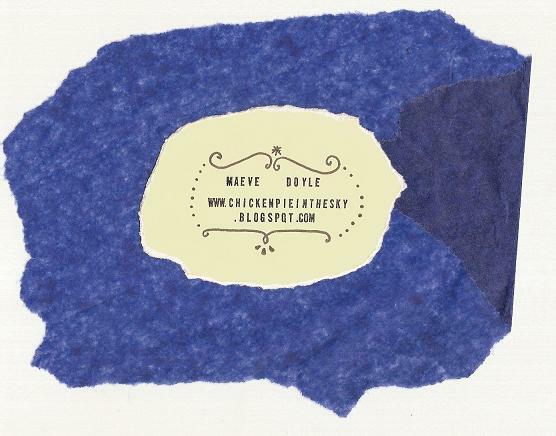 Situated in County Galway, west Ireland. 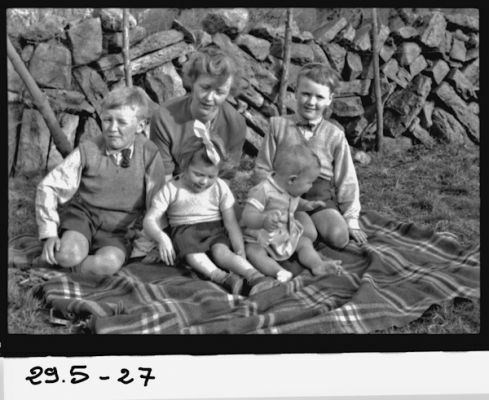 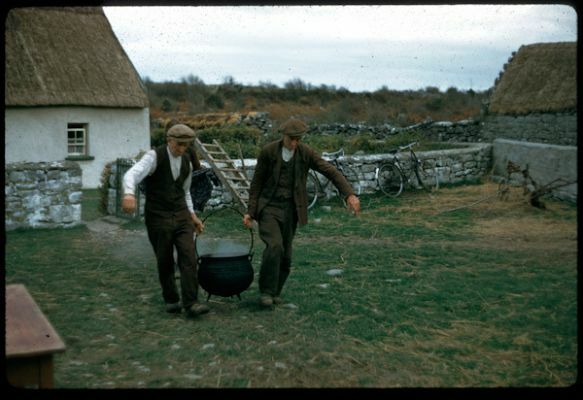 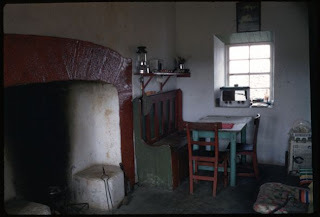 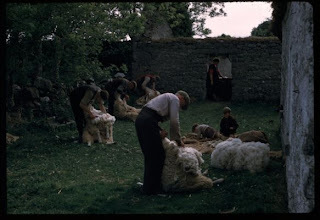 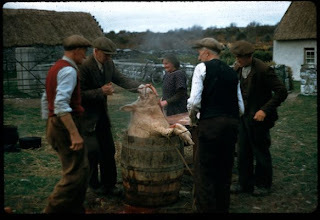 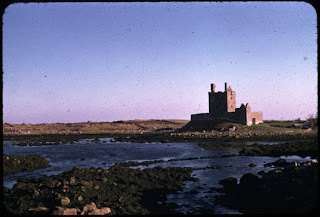 "In April 2010, Robert Cresswell, the anthropologist who completed a major study in Kinvara, in the mid-1950s, donated his archive of black and white photographs(450+), Kodachrome slides, 16mm film footage, documents and notes...to the nation. 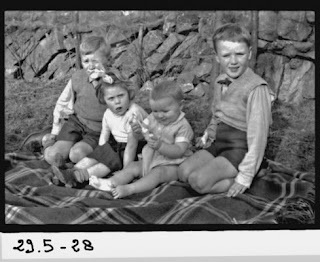 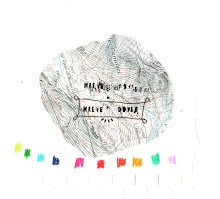 Here are some of this pictures. 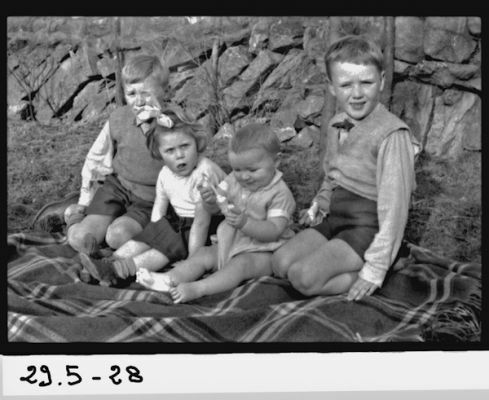 *michael, maura, kieran & dad. 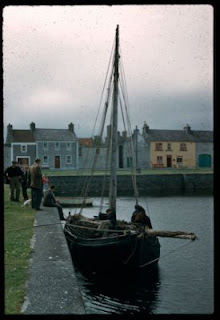 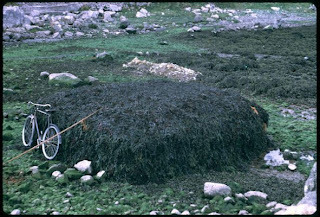 kinvara circa 1957. *michael, grandma nana, maura, kieran & dad. kinvara circa 1957. VILLAGE IN KODACHROME & B/W. *cutting the famous irish wool. 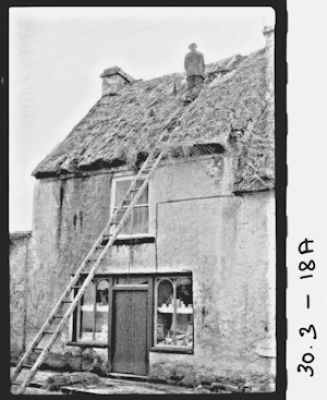 *thatching, the complex of the straw roofs.